Another week, another homecoming, another embarrassing result. Just seven days after the Florida Gators were thinking they had an outside chance at the College Football Playoff, suddenly No. 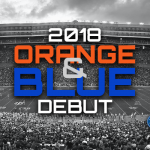 11 Florida will wonder whether it will fall out of the top 25 polls after dropping its second straight game, this one in devastating fashion to the Missouri Tigers at Ben Hill Griffin Stadium in Gainesville, Florida. The Tigers trounced the Gators 38-17 on Saturday in a game that was never close after the first quarter. Florida failed in every phase of the game and looked as hapless as it has in many similar games over the last few years, especially when you consider it allowed Mizzou to end an 0-9 streak against ranked teams and served as its first SEC win of the season. This after the Gators looked competitive one week ago in their biggest game of the season even if the end result was not indicative of that. So what went wrong for Florida on Saturday, and where does head coach Dan Mullen go from here? Let’s take a look at what we learned from the loss as the Gators fall to 6-3 (4-3 SEC) on the season. 1. 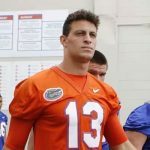 Enough is enough; it’s time for a change: Few have given redshirt sophomore quarterback Feleipe Franks more chances than this writer, who believed it was unfair to saddle the 2017 season on the shoulders of a first-year starter unexpectedly thrown into action. And when Franks looked like he had turned the corner to at least become a capable signal caller in Year 1 under Mullen, some of his flaws were fairly taken with a grain of salt considering significant improvement cannot be expected overnight. 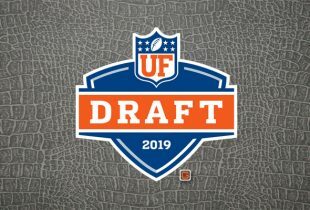 But nine games into Franks’ second season behind center, it has become crystal clear that he simply does not have what it takes to lead Florida football the way it and Mullen need a quarterback to do so. Franks completed 9-of-22 passes for 84 yards on Saturday with only accomplishments being a gutty 3-yard rushing touchdown in the second quarter and the fact that he didn’t turn the ball over in the game. While he has looked capable for a series or a half here and there this season, performances like this are simply unacceptable for a team that should have at least a mid-tier quarterback leading it. Franks either has a fastball or a knuckleball — there’s no in between and certainly a lack of touch on his passes. He continues not to make his progressions and throw to open receivers while forcing the ball into tighter coverage. And most importantly, any time he is pressured even a little he completely crumbles. Consider that Franks put up these stats against the 124th ranked passing defense in the nation coming into the game. But even worse than continuing to start Franks would be burning the redshirt of freshman Emory Jones, who looks to be the team’s quarterback of the future — at least Mullen hopes. Jones has two games left to play this season to preserve his redshirt, and one of those should be the Gators’ bowl game. Burning his redshirt would make no sense, particularly now that Florida has taken itself out of New Year’s Six bowl consideration. Instead, as he did Saturday, it’s time for Mullen to give the reigns to redshirt sophomore Kyle Trask to at least see what he has in him. Trask completed 10-of-18 passes for 126 yards and a touchdown against Mizzou, and while some of those yards came late while the visitors were playing off the receivers, there was a clear spark when he entered the game. Florida should want to win every game it plays, but it makes the most sense for Trask to get an opportunity next week at South Carolina with Mullen knowing he has Franks in his back pocket to insert at any time. 2. Third-and-Grantham is real: The Gators tried to get cute when they were winning, attempting to lean into the “third-and-Grantham” moniker and turn it into a positive considering how Florida ended games against Mississippi State and LSU. But ever since, the Gators have been an absolute disaster defensively, particularly on third down. And that goes back to defensive coordinator Todd Grantham. 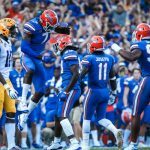 Florida has allowed a combined 74 points over the last two games, in large part because the defense has been unable to get stops on the so-called “money down.” Missouri converted 11-of-18 third-down attempts on Saturday, and Georgia kept moving on 8-of-14 attempts a week ago. That means UF has allowed its last two opponents to convert 60 percent of their third-down tries (19 of 32) while converting just 26 percent (7 of 27) itself. That’s a recipe for disaster on the gridiron, which is exactly what you’ve seen in the back-to-back losses. While the Gators at least had an excuse a week ago — their best active defensive back was injured on the first series against the Dawgs and two more were not playing for one reason or another — they were at full strength on Saturday against Drew Lock and Mizzou. Florida got zero pass rush, Grantham’s third-down blitzes didn’t work, and Lock torched the secondary for 250 yards and three touchdowns on 24-of-32 passing; he had just one touchdown in SEC play entering the game. The Tigers outscored the Gators in all four quarters, and Florida has completely topped creating turnover opportunities. 3. That’s it: Really, there’s not much more to say. OK, how about redshirt junior punter Tommy Townsend nearly got ejected for targeting — instead getting an unnecessary roughness call — and was called for a personal foul later. Coupled with a penalty on junior wide receiver Tyrie Cleveland, Florida managed to turn an awesome punt into Mizzou taking over near midfield. Oh, and junior defensive back Chauncey Gardner-Johnson got hurt, and he cryptically tweeted after the game though claimed he was not looking ahead to the NFL Draft. Also, the end zones were orange. They looked good. Seriously though, there’s not any more analysis needed than the Gators got boat raced on homecoming. Mullen, after a long press conference, pointed out again that he wants to see a greater investment from fans. The Swamp was relatively empty even before Florida got into trouble, which is worrisome for any game but particularly a homecoming kickoff at 4 p.m. ET. “When we sell out the stadium, we’ll win a championship. It doesn’t go the other way,” he said. That’s not quite right. And if Mullen thinks the fan support is going to be better next week after this debacle with a noon ET kickoff against South Carolina, he’s dreaming. The history of blowout successes Mizzou has had against us since joining the SEC is mind-numbing. I bet they wish they could play us every week. Trask has looked like the more natural QB every time I have seen both he and Feleipe play. It looks obvious to me. I was always surprised every time Franks (allegedly) beat him out. But sometimes people get carried away with arm-strength and recruiting stars. It takes a lot more than that to play QB. IT’S A CEREBRAL POSITION. And it’s obvious Mullen has to dumb down the play-calling protect Franks, including calling a lot of bubble screens that the defense has figured out. Vosean Joseph does a good job chasing people down. But he gets blown up when you run at him. Doesn’t seem to be willing (or maybe able?) to fill a hole with the kind of violence it takes to stop the run. Love him, but he needs to get some strength to go with that speed this next off-season. Reminded me of the Kentucky game. Mizzou was just tougher than we were. Georgia wasn’t. But Mizzou was. Again. And when was the last time they had a top 10 recruiting class? Exactly. Heart will trump recruiting stars almost every time. I agree. Danny W was one of the greatest and his throwing motion was awful. Yet, he knew where to throw the ball most all of the time. Franks has a great arm, but he isn’t sure where and when to throw it. The major flaw I found with Trask may be on the coaches. They need to have plays he can get to for an all out blitz. When he started completing passes, Missouri went to blitzing and he had trouble with it. Once he figures that out, he might have a chance. Michael : How bad did UGA beat Mizzou ? Who the Hell does Mullen think he is! Demanding people pay huge money to watch him lose football games! He needs to remember that he has won no SEC Championships and no National Championships. Even the snake Urban Meyer never stopped this low, he did his job. It is a choice to go watch something entertaining not blindly pay money to watch mediocre teams. I am a season ticket holder. Ha ha ha ha . . here they come! The anti-Mullen crowd . . not a peep out of them after our 6 wins . . quiet as church mice . . . patiently waiting for us have a bad game so they can make Gator Nation proud! How about the LSU game? Did you get your money’s worth that day? An “upset” is when the team that is favored to win the game loses, it doesn’t matter how or by how many. I’m disgusted by Dan Mullen’s comments about the crowd. He should’ve been apologizing for coaching like Mac in letting a better team get blown out at home on Homecoming by a team that was 0-4 in the SEC. Very bad coaching, very bad comments. Anybody but Franks at this point. I would even play the scout team QB before him if Trask gets hurt.